“Having dense breast tissue makes it more difficult to detect cancer on a mammogram,” said the study’s lead author, Susan Weinstein, MD, an associate professor of Radiology and the director of breast MRI at Penn Medicine. 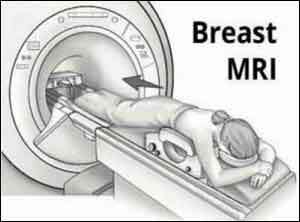 “Based on the literature and our results, women with dense breast tissue who desire supplemental screening, these results suggest that AB-MR may be a better option than other supplemental screening tests such as whole breast ultrasound. Based on the results of Penn’s study, the AB-MR may be a better option. American Cancer Society guidelines currently recommend a full breast MRI, not an AB-MR, in women who, based on family history of breast or ovarian cancer and/or previous treatment for Hodgkin disease, have a 20 to 25 percent or greater lifetime risk of breast cancer.